Lori never left the country until she was 40 years old. And yet since that time she has traversed a huge swath of the globe. She’s traveled from the Acropolis in Greece to the Bridge of Sighs in Venice, from Buddhist Temples in Thailand to the Thames in London. 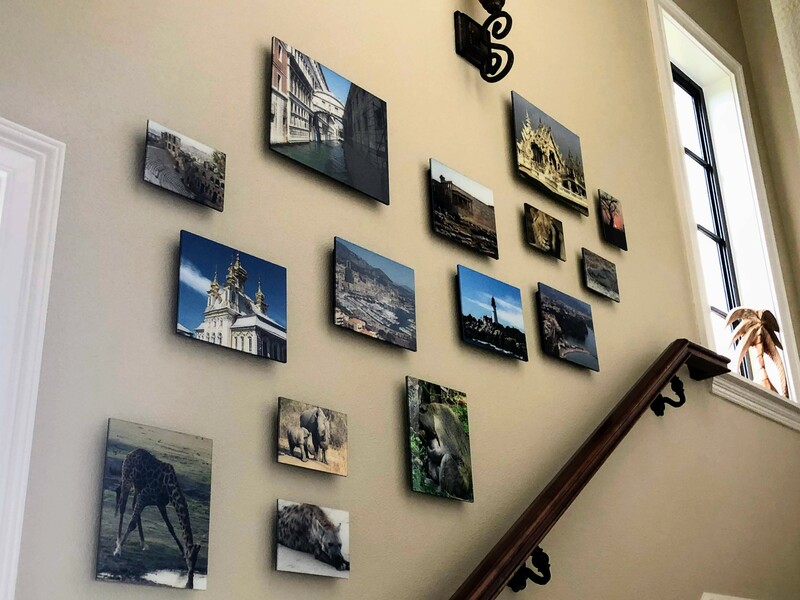 Along the way, she’s documented many of her travels with a keen photographic eye and she finally found the resource to bring her photos to life as art. 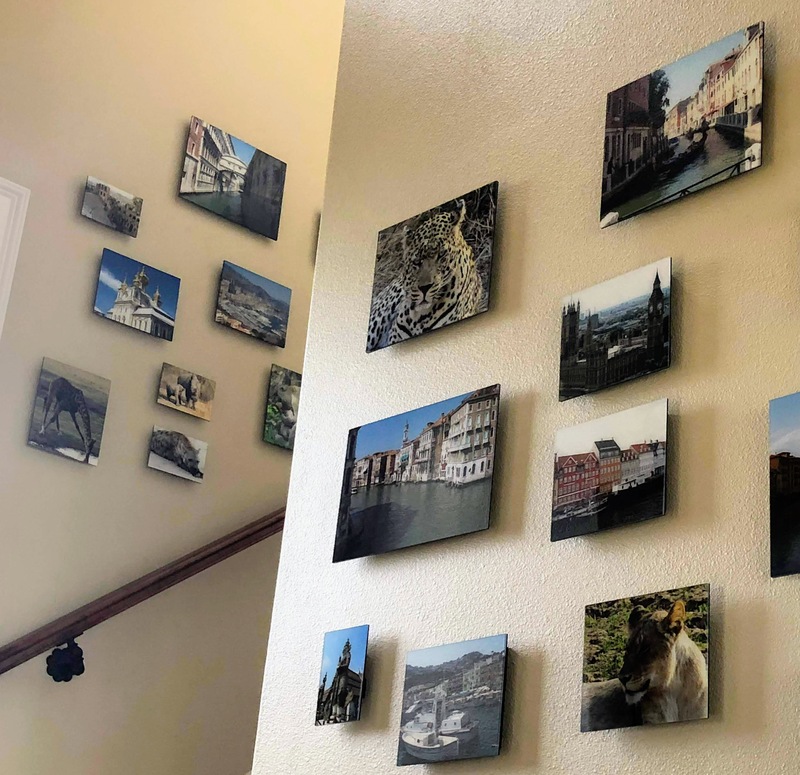 Though she had always taken photos, Lori didn’t know of an ideal way to display them. A thought struck her, when she saw a photographer mounting photos directly to what she thought might be glass. “We placed them first on a table like how we wanted to lay them out. 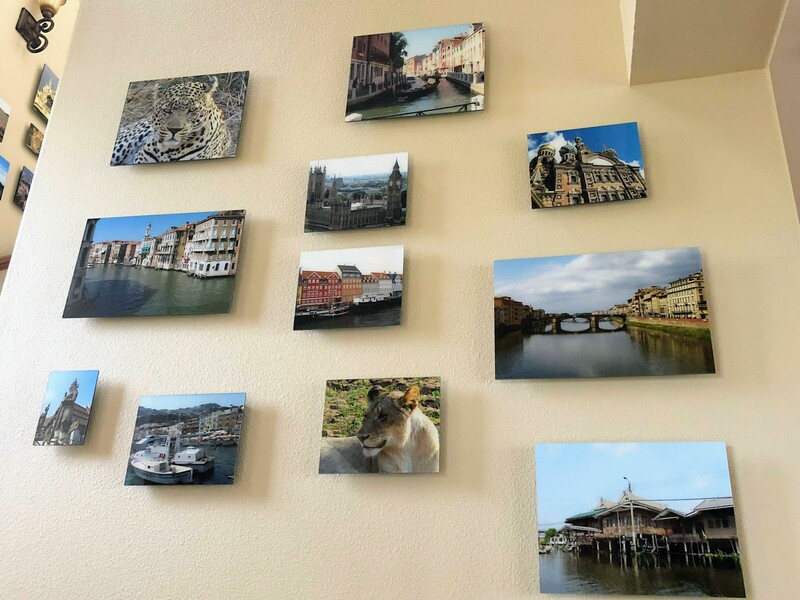 It didn’t take long at all to hang them.” Her husband found it simple to affix the cleat backs to their walls and those cleats made it possible for her to rotate the photos around as she takes new travel photos. The immediate visibility of her photos allows them to serve as a constant reminder of her adventures. The most recent trip she documented was in Botswana. Starting in Cape Town, she recalls going on a handful of tours, but her most vivid memory was caught on film during a safari at the Kruger National Park. During a tour on the lands of the private preserve, a ranger and lookout took Lori out in a truck where they faced the local wildlife up close. “We would pull into the path of animals and as we would sit in the truck they would walk right next to us.” She relishes her favorite photo of a leopard, commenting that she can even remember the moment when it caught prey and carried it neatly into a tree for safekeeping.